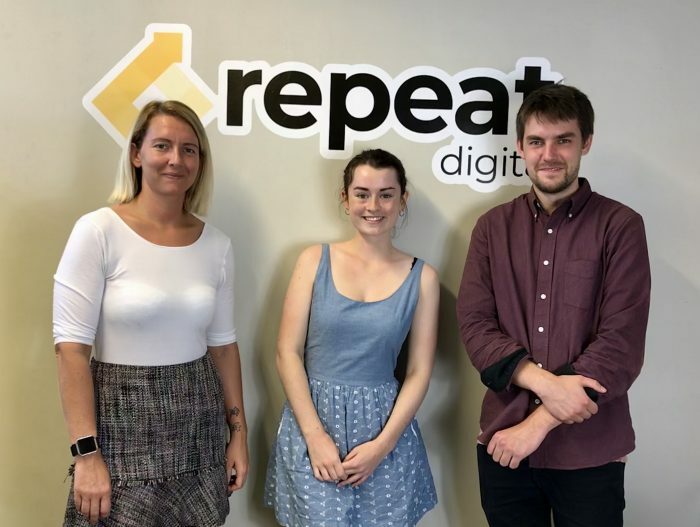 L-R: Amy Jowett, Molly Sneath and Olly Fisher of Repeat Digital. Pay Per Click and Google Ads specialists Repeat Digital is turning on the style and getting a taste of luxury with the addition of Cheshire company Laura Caroline Fine Furniture to its rapidly growing portfolio of clients. The Long Eaton based agency, which recently celebrated its successful first year in business, will be working with Laura Caroline Fine Furniture to design its PPC marketing strategy, drive brand awareness and deliver stylish shoppers to the company’s luxurious website. Repeat Digital founder and Director Olly Fisher said: “For Laura Caroline, its e-commerce website is critical to the business and therefore a key aspect of our brief will be to deliver relevant potential customers to the site to increase sales. “The products and services provided by Laura Caroline are bespoke and will appeal to discerning clients and therefore identifying where this target market base is active online and communicating with them effectively will be a fundamental part of our strategy. Laura Caroline Fine Furniture is an independent provider of luxury home interiors launched by interior designer Laura Caroline earlier this year.